Imagine a hookah bar without smoke. The Huka Bar & Grill in Murray is hoping to avoid the fate after being turned in to health authorities. A ban on smoking in Utah bars came into effect on Jan. 1, 2009, but Nate Porter, owner of the Huka Bar, kept his hookahs burning. Health authorities charged with enforcing the bar-smoking ban didn’t receive any complaints until April when someone phoned the Salt Lake Valley Health Department. Health department employees met with Porter for the first time April 24, and the complaint has not yet been resolved. But Porter says he isn’t expecting any trouble and plans to keep the smoke flowing at his 4-year-old bar. In the meantime, Porter is hedging his bets by trying to get a law through Utah’s Legislature that would formally exempt hookah bars from Utah’s general ban on indoor smoking. The Huka Bar currently does not allow cigarettes. “No customer has ever walked in saying, ‘I didn’t realize there would be hookahs in Huka Bar,’” Porter says. Porter said his meeting with health authorities went well. He made his argument that Utah’s smoking ban was extended to bars to protect people from second-hand smoke that is produced minimally from hookahs. Officials at the Salt Lake Valley Health Department, a county agency responsible for policing the bar smoking ban, were not available for an interview. Enforcement will ultimately be up to that agency, but state officials at the Utah Heath Department don’t see any wiggle room in Utah’s bar smoking ban. The Utah Clean Indoor Air Act, which regulates smoking in public places, now including bars, prohibits smoking any “tobacco product.” The state health department says cigarettes, cigars, pipes or hookahs are all the same in the law. Typically, what is smoked in a hookah is shisha, a mix of tobacco with molasses or fruit. On the other hand, Utah’s anti-smoking law doesn’t govern anything but tobacco. The downtown hookah bar Ouida’s Lounge got around the ban by switching the shisha in its hookahs to an herb-and-fruit mixture in early 2008. David Neville, media liaison for the Utah Department of Health’s tobacco prevention program, says any exemption for hookah bars would need to come from the Legislature. Porter is hoping for just such a change with help from Rep. Neil Hansen, D-Ogden. In the 2009 Legislative session, Hansen sponsored a law that would have carved an exemption in Utah’s indoor smoking ban for businesses that make at least one-fourth of their income from on-site tobacco sales. Such legal provisions—treating hookah lounges as tobacco shops—have been used in some other states, including Oregon, to allow hookah smoking despite general indoor-smoking bans. But Hansen’s bill went nowhere in the 2009 Legislature. Porter argues that compared to cigarettes, hookah smoking has little second-hand smoke and less nicotine and tar than cigarettes. “The law is there to protect people from second-hand smoke, but not all smoke is the same,” he says. Some places that generally prohibit indoor smoking have allowed hookahs. 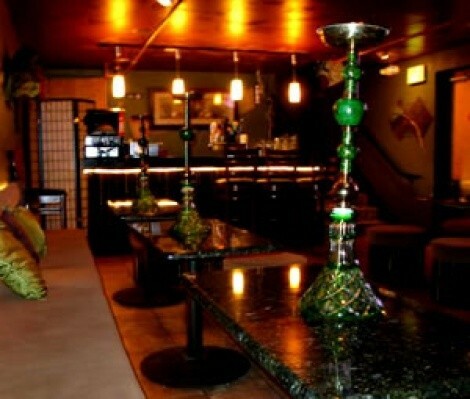 Many California cities allow hookah lounges despite a general state smoking ban. Boston in December gave cigar bars and hookah lounges up to 20 years to comply with the city’s indoor-smoking ban. Possibly going the other way is Oregon, where a lawmaker recently proposed removing a loophole that has allowed hookah lounges in that state. Neville, of the state health department, says the idea that hookah smoking is safer than cigarettes is “ill informed.” He says hookah users can ingest more nicotine than cigarette smokers because hookahs are typically smoked for longer periods. A study he provided to City Weekly says that the water in hookah pipes does filter out some nicotine and that hookah smoke may be less likely to cause cancer than cigarette smoking, but added that hookah smoke still contains dangerous compounds. “For a hookah lounge to ask for an exemption because it would kill their business is really just saying the health department doesn’t mind if you kill your patrons,” Neville said. Porter says the local health department’s visit to his club was the result of a complaint phoned in from a Murray City official. He says it’s part of continuing harassment of the bar by city officials that got the bar cited for a minor liquor law infraction last year. A story on that fight is scheduled to run in next week’s City Weekly.